So, what does any of that have to do with outdoor athletes and the topic of strength and conditioning? 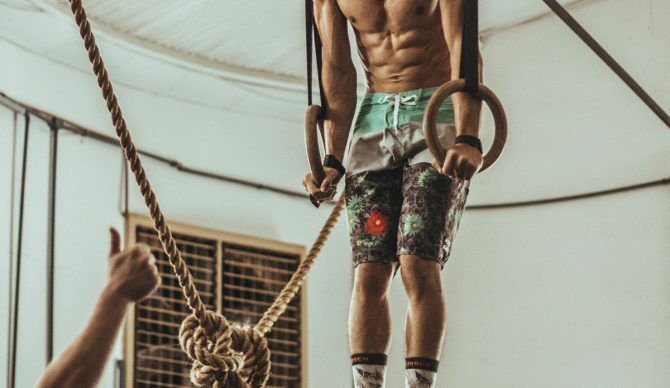 The rebellious nature of adventure athletes against conformity and the search for redefining our physical and mental limits has made the use of structured training programs unappealing to many. The very idea kind of represents the antithesis of why adventure sports exists. At least until recently. The evolution of performance training is now beyond the bodybuilding split routines that focus on one’s appearance, consisting of bicep curls, leg curls, tricep extensions, and lateral dumbbell raises. Applying such a routine into a functional program for outdoor athletes seems completely nonsensical. But, that’s the old school approach. The new school approach combines geeky evidence-based research in the fields of human physiology, biomechanics, neuroscience, and psychology to demonstrate how specific training modalities can enhance our abilities to perform at both a higher physical, emotional, and mental capacity. Individuals like Dr. Andy Walshe, director of High Performance for Red Bull, are finding ways to improve our ability to manage stressful conditions regardless of our experience in any one specific event, and developing strategies to strengthen the connection between our mind and bodies, allowing elite adventure athletes to push beyond boundaries that were once considered impossible. The film Distance Between Dreams is a perfect example of this. In addition to the incredible cinematography, viewers are given a glimpse into the novel training that surfers like Ian Walsh undergo for potentially life-threatening and life-changing challenges. With all that said, let’s talk about how the “average” athlete can get the most out of their training. What is the difference between Power, Speed, Agility, and Metabolic Conditioning? The total time you spend in either the High-Intensity portion of your training or the total time you spend at a given Target Heart Rate (THR; more on this later). The total time you spend recovering from the work portion of your training determined by your goal. Power is generally determined by muscular recovery, speed is determined by a combination of muscular and heart rate recovery, and agility and metabolic conditioning are usually determined primarily by heart rate, with the exception of Metabolic Resistance Training, which I will not get into today! Power, speed, and agility = 1:3-5+; i.e., sprint for 10 seconds and rest for 30-60+ seconds. Metabolic conditioning= 1:1, 2:1; i.e., sprint for 10 seconds and rest for 10 seconds. Think about a shot putter or the paddle strokes you take just before catching a wave. This covers the entirety of most traditional team sports and many adventure sports: soccer, hockey, football, paddle sports. You can do this by paddling in a prone position or on a SUP, best performed in calm conditions. Grab your board, walk up to the shoreline, and get in a race start position. Start your timer (I encourage wearing a watch with a timer) and sprint out and paddle for as hard as you can for only 10-30 seconds. The best way to figure out the time without having to check your watch is to count your strokes – start simple, try for one stroke/second and see how that correlates to your timer. After paddling out, spin around and paddle back to shore. This is your recovery, focus on breathing, inhaling deeply through your nose for a four-second count, and slowly exhaling through your mouth for a four-second count. This will help lower your Heart Rate and reset your nervous system, stimulating calm and reducing the fight or flight response. Repeat this for 10 or more sets. To stay in the power system, you’ll want to keep your sprints between 10-30-seconds. Do some sets at 10, some at 20, some at 30 – roll dice to decide if you need to. Remember, you want your body to recover in between sets. In this case, you probably want to rest for at least one minute, but if you’re really going hard and battling the surf going out you may easily need two to five minutes. This can be determined two different ways: Use a heart rate monitor and calculate your estimated THR for both the work and rest intervals or become very good at listening to your body, if you’re unable to complete the next sprint at an equal intensity, you need longer rest. This is where you can get creative! Have a friend hold onto your leash and pull them, use some sort of container tied to your board to create drag (make sure you bring it back with you! ), or simply paddle using different shaped boards (planing vs. displacement hulls). Most importantly, always listen to your body. It’s about successfully accomplishing a task, not failing. So, if I was wearing a heart rate monitor I would paddle hard for 10-30 seconds, check my heart rate to get an actual reading (the above method is going to be an estimate), then lightly paddle, focusing on breathing, until my heart rate was between 135-145 bpm, then repeat.